Book Bite Reviews: WaveCloud: A New Site YOU Need to Join! WaveCloud: A New Site YOU Need to Join! Before BEA I was contacted by Jim Dissett to possibly stop by the WaveCloud booth and learn all about them! If you were at BEA you may have been approached by a guy with what looked like a jet pack on his back, but it was really a coffee machine, and was offering free cups of coffee. Well, he was with WaveCloud. I decided to stop by the WaveCloud booth, because they sounded like a very interesting new company and that is exactly what I learned they were! WaveCloud is a new online site that is trying to connect authors with their readers and vice versa. Authors can go on WaveCloud and for free they can sell their novels. Customers can then go on WaveCloud and buy those books, sounds simple doesn't it? Here is where the awesome parts come in. Buying books is not the only thing you can do on WaveCloud. It isn't just another book selling website. Members of WaveCloud can also comment on the books, post reviews about them, and even post their favorite quotes from that book. Very soon you can even post up photos relating to that particular book or author and even post video. Authors can see all of this, of course, BUT they can interact with their readers. They can see who bought their novels, what they are saying about it, and can respond back and contact those readers. They can personally ask readers for feedback. They can post up extras from the book or even post on there about where they go their inspiration to create that character. Even when you buy the book you get an email saying thank you for purchasing from the author! Currently WaveCloud has more than 150,000 titles available to buy, rate, and review. Three things that I find very interesting about WaveCloud is CloudPoints, CloudDiscovery, and AuthorDashboards. CloudPoints are points that readers can earn from being interactive on WaveCloud. This include reviewing, buying, commenting, etc., You can then collect these points and redeem them later on for e-books and other book related items! How cool is that? CloudDiscovery will provide a unique way to discover new authors and novels. It won't just be your typical Top 100 list or even "here's what others bought along with this". AuthorDashboards allow authors to have a one-stop location for information on their work including who is buying their work, where they are from, and what they are saying about it to others. WaveCloud wants there to no longer be barriers between authors and their fans. They want there to be a sense of friendship and open communication. I really feel that WaveCloud has a great thing going and will become extremely successful!! What does WaveCloud offer readers? Building virtual collections of their favorite e-books to express themselves to their friends and to the world. How do you differ from other e-book services and websites? WaveCloud was developed specifically to connect readers and authors in a way that we believe has become lost in the transaction-based relationships that currently have a stranglehold on the market. WaveCloud believes that an author’s reader base is “intellectual property” – and as such authors should have a greater ability to identify, grow and increase the loyalty of their readership. Therefore, WaveCloud provides tools to authors to help them reach their audience in ways outside the transactional experience of the book purchase allowing them greater freedom over their work, even to the extent of setting the price readers pay. Conversely, WaveCloud also believes that readers feed off the creative work of writers – and as such they crave a deeper, more engaging path to discover and experience new authors and new pieces of work. WaveCloud provides tools to readers to help them reach authors in ways outside the transactional experience of the book purchase and allows readers greater freedom over how they peruse, select and interact with the books and authors they read. What are CloudPoints – and what can I do with them? CloudPoints is a system that encourages participation in the WaveCloud community by rewarding activity on WaveCloud.com with points (“CloudPoints”) that can be redeemed toward a variety of goods and services. WaveCloud community members begin accumulating CloudPoints the moment they enter the site, and the number of points continues to increase with every action taken on WaveCloud. CloudPoints encourage community participation, provide an incentive for readers and writers to join the conversation and offer a great way for WaveCloud members to save money. What does WaveCloud offer authors? WaveCloud offers authors, and aspiring writers, a platform that provides the tools and resources they need to complete, publish and bring their work to market in an environment where they can identify and reach their intended audience. Once authors are published, WaveCloud helps them connect with their readers in an intimate way that helps them to maintain and grow their existing fanbase while identifying and reaching new audiences. WaveCloud is still in its BETA mode so not all of the features are up yet, but already it is a pretty amazing site. 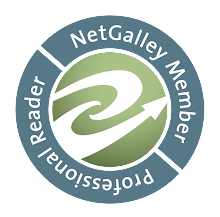 You can still sign up today and become a member so head on over to WaveCloud and become a part of a new author-reader interactive future!